It’s an imminent fact that seeking tertiary education in a college / university is not just about obtaining a qualification. It is also about the experience you have, the friends you meet along the way and most importantly, how all of these experiences shape a youngster as a person of good stature. In addition to its affordable education fees, living expenses and its wealth of cultures and people, Malaysia is one of the best options to achieve this. Malaysia is also an ideal place to develop a network of friends and contacts in Asia and build relationships in a rapidly developing country. 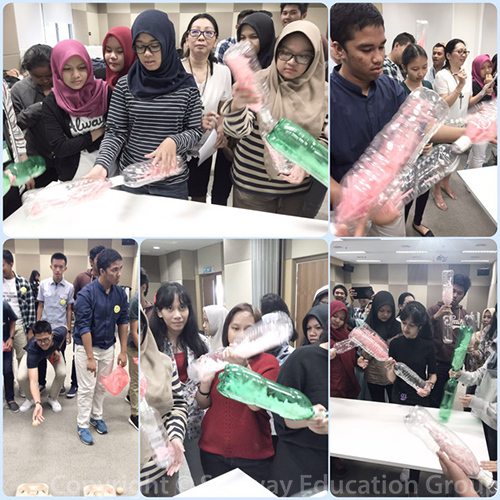 A group of forty-one secondary school students from two national secondary schools, Sekolah Menengah Atas Negeri (SMAN) 1 and 8, Pekanbaru, Indonesia participated in a Study Experience program scheduled on the 8th to 14th May 2016 at the Sunway campus. 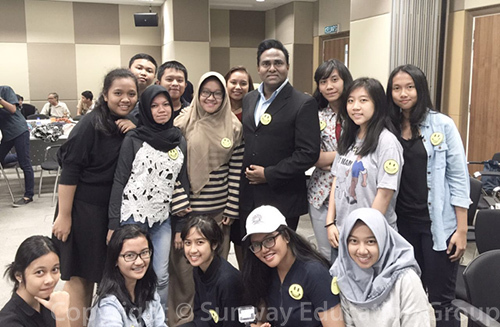 They were accompanied by three teachers and the Vice Principal of SMAN 1, Mr. Azmir Yusuf. The organizer of this project is our official representative Ms. Cindy Nelwan from International Excellent Services Agency. 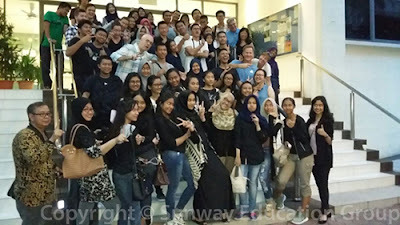 International Office played host to the visiting group by coordinating the ground transportation, accommodation at the Sunway Monash Residence, meals, numerous career talks and workshops by various academics and the Centre for Asia Leadership. 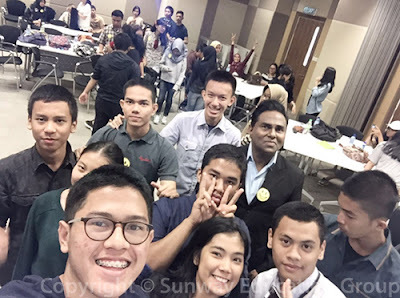 The objective of this program is for the students and teachers to experience the student life at the Sunway campus with the implication of seeing is believing. Students can immerse themselves in a seamlessly integrated campus lifestyle that is truly safe and friendly. They will be at the centre of a vibrant township, cohesively connected to residential and social spaces by user-friendly pedestrian walkways and public transportation. This will make them feel right at home. The students attended some lessons facilitated by the lecturers of the Canadian International programme (CIMP) during the daily lessons. This experience allowed both students and teachers to have a positive encounter of the Canadian characteristic mode of pedagogy. CIMP is designed to meet the needs of all students, not just those wishing to attend a Canadian University. 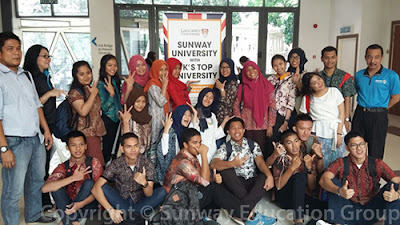 The programme is designed to prepare students to attend universities anywhere in the world. CIMP has been in operation for more than 25 years, and over 6,000 CIMP graduates have attended more than 200 universities around the world. During the farewell gathering, the students claimed that they enjoyed their stay at the Sunway Integrated Resort City. They particularly highlighted their fondness for the Sunway Lagoon Theme Park, the exciting Sunway Pyramid Shopping Mall, the well-equipped and comfortable accommodation in SMR, the FIFA certified football pitch and their daily walks using the elevated tree top canopy walkway. 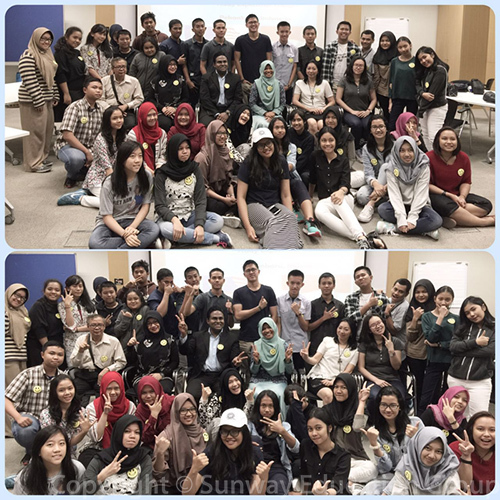 The learning outcome of this program had helped them to influence their academic and prenominal goals. In addition to that, they made memories and new friends at the Sunway campus. From a practical perspective, this generation of youth had academically and culturally enriching experiences and fostered personal growth. 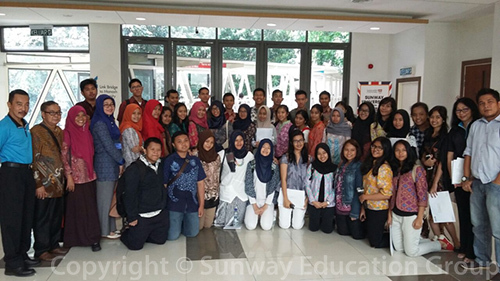 We sincerely hope to welcome them to study in Sunway and be part of their extended families.